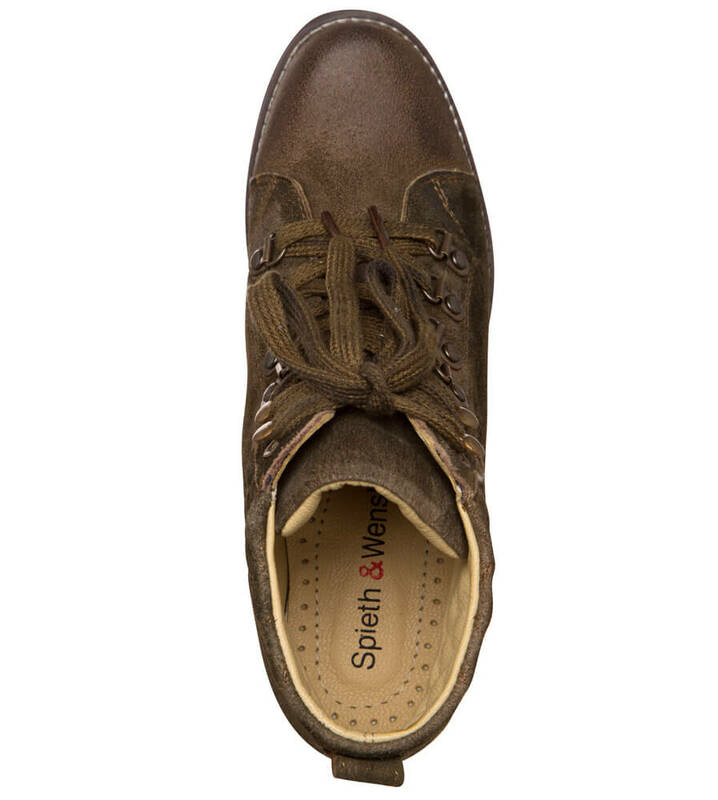 These WERMUT (“Wormwood”) traditional ankle boots from Spieth & Wensky love to explore contrasting themes. 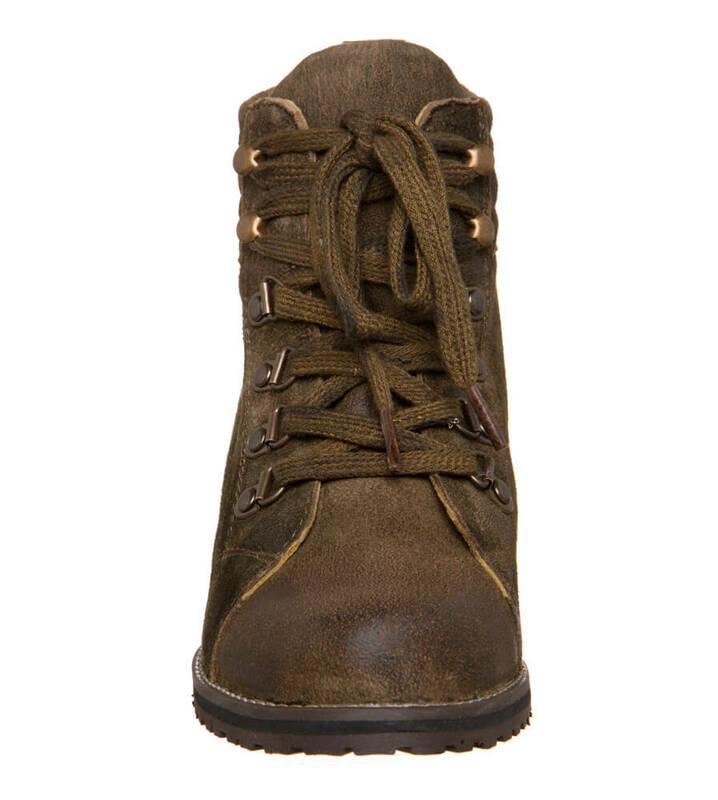 With the look of classic mountain climbing boots, they have a robust feel, without abandoning feminine refinements. 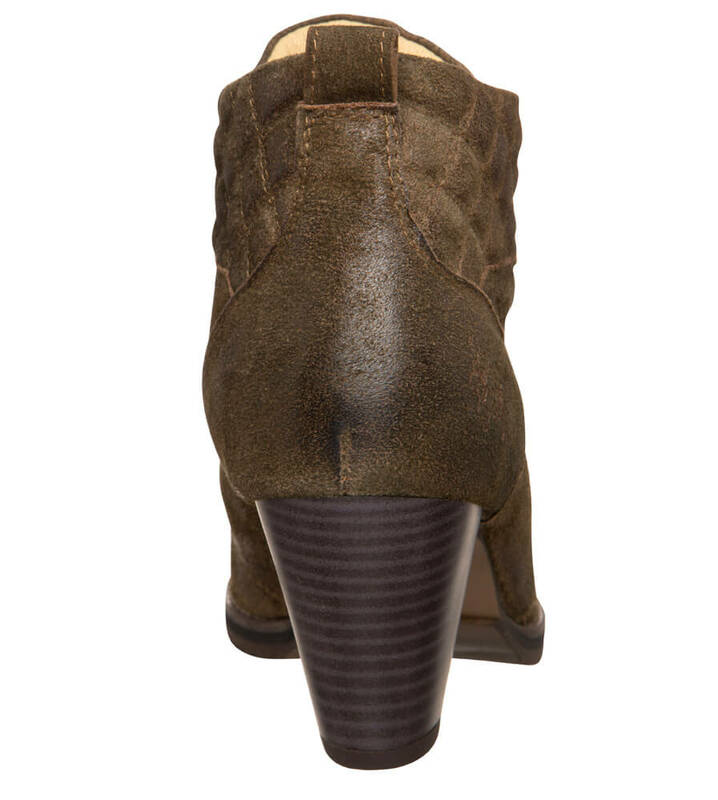 The combination of soft, dark brown suede and a discreet finish gives the combination of metal eyelets, treaded soles and cone heels a deep sophistication. 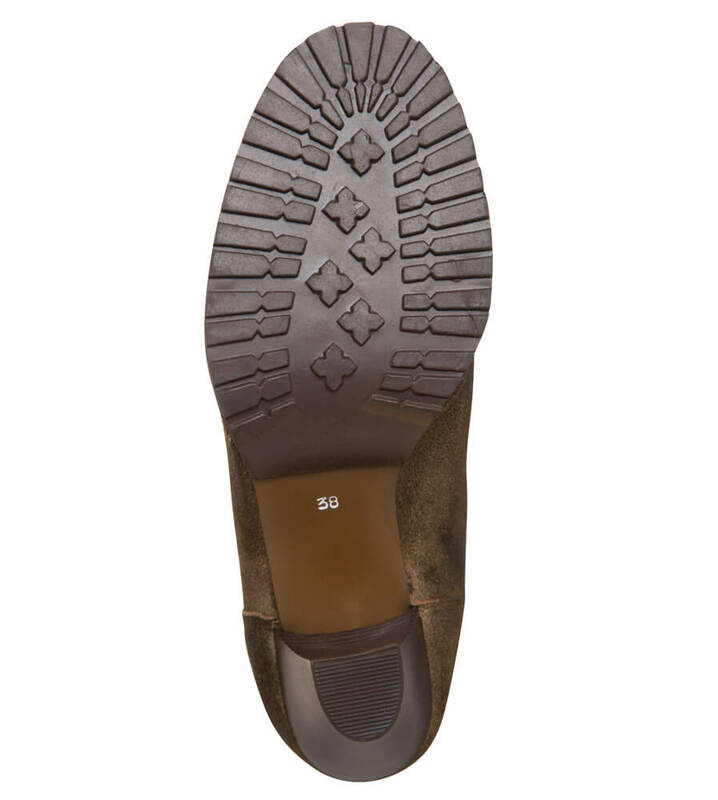 The quilted diamond patterned ankles provide more than just a visual contribution to the design – and the same applies to the generously upholstered tongue and the soft insoles that provide the boots with their wonderful comfort. 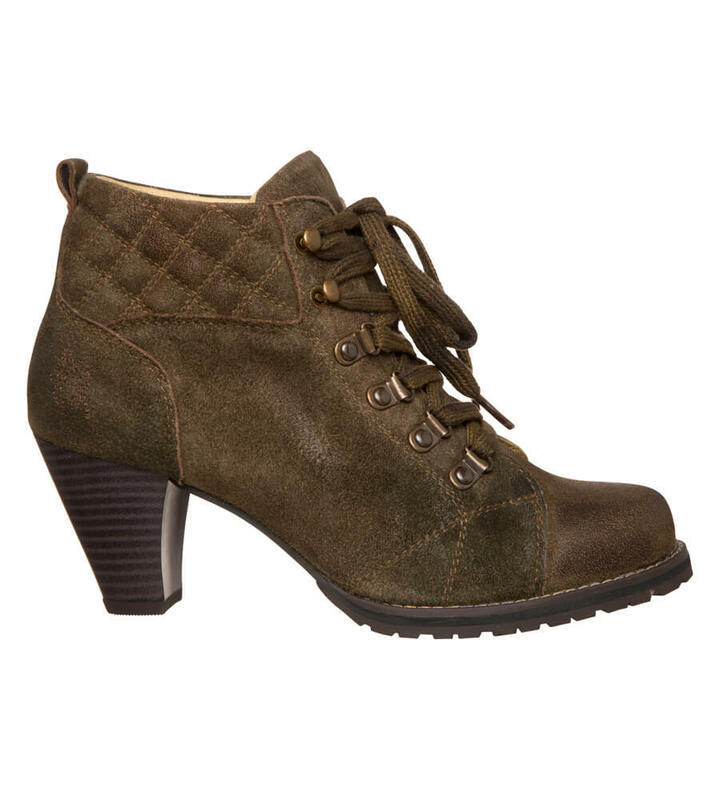 As an exciting change of pace from a colourful dirndl, or as a charming accompaniment to traditional lederhosen, or to add a rustic twist to trendy jeans, these ankle boots can do just about anything, and even in the city they can make you fall for their stylish, rustic charms. 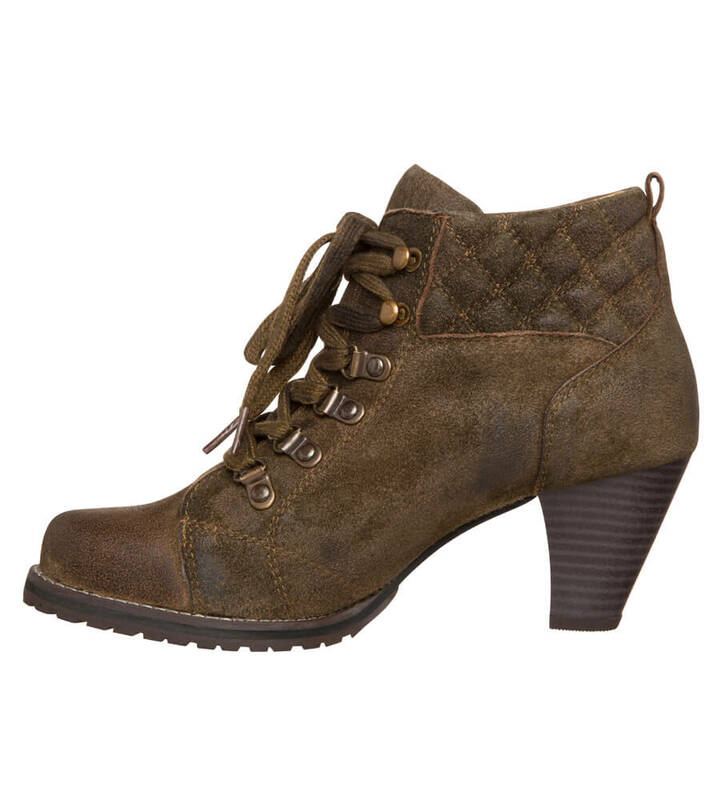 Toller Schuh. Verarbeitung sehr hochwertig. Größe passt genau. Immer wieder gerne. Meine Frau ist total begeistert ! Die Größe passt perfekt und das Material ist super, kann ich nur empfehlen! Genau so etwas habe ich gesucht, passt perfekt zu meiner Lederhose, sehr bequem und äußerst schick! Habe ich auch schon zur Jeans getragen - sieht auch toll aus. Mein absoluter Favorit.